Six shots. Five dead. A heartland city thrown into terror.But within hours the cops have it solved. A slam-dunk case. Apart from one thing.The accused gunman refuses to talk except for a single phrase: Get Jack Reacher for me. Reacher lives off the grid. He's not looking for trouble. But sometimes trouble looks for him. What could connect the ex-military cop to this psychopathic killer? 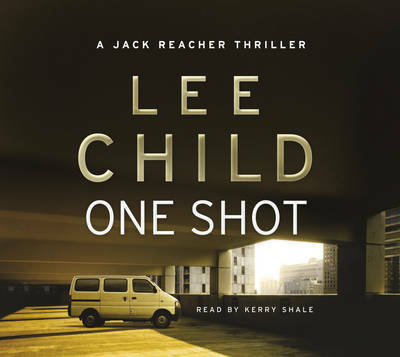 One of Waterstones’ very favourite authors, Lee Child sprang from redundancy at Granada Television in 1995 to rise to thriller-writing pre-eminence with his sequence of stories featuring ex-military policeman Jack Reacher. A huge draw at countless Waterstones events, working with Lee over the years has for us always been an absolute pleasure.